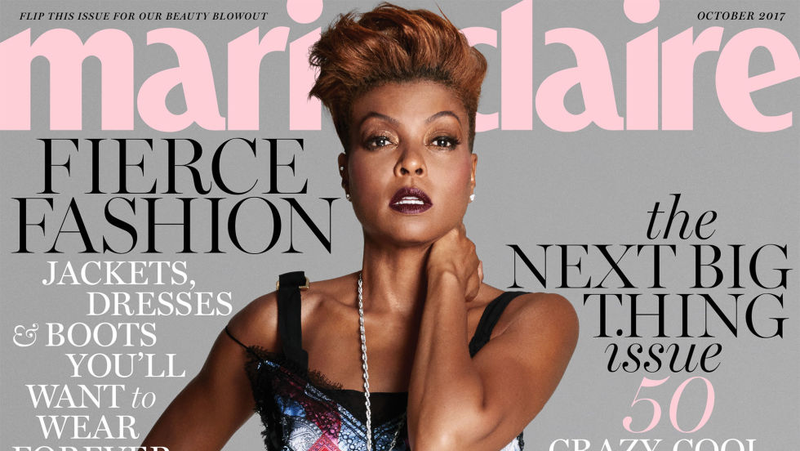 Exciting news for fans of Taraji P. Henson, Janet Mock, and/or print media: Henson is on the cover of October’s Marie Claire and Mock wrote the profile you’ll find inside. While the full piece won’t be available until next week (Hearst loves a tease), MC shared a few choice quotes to get us hyped. When asked about relationships, the actress said she’d “love” to be in one, but that “he has to see how I move and deal with it, because I don’t have time to explain.” Explain what? I’m not sure. Why? Because she doesn’t have time. How can we get ahead if we’re feuding and hating on each other all the time? I made a pact years ago that I would never hate on another female, ever, especially in this industry. Why would you click this?